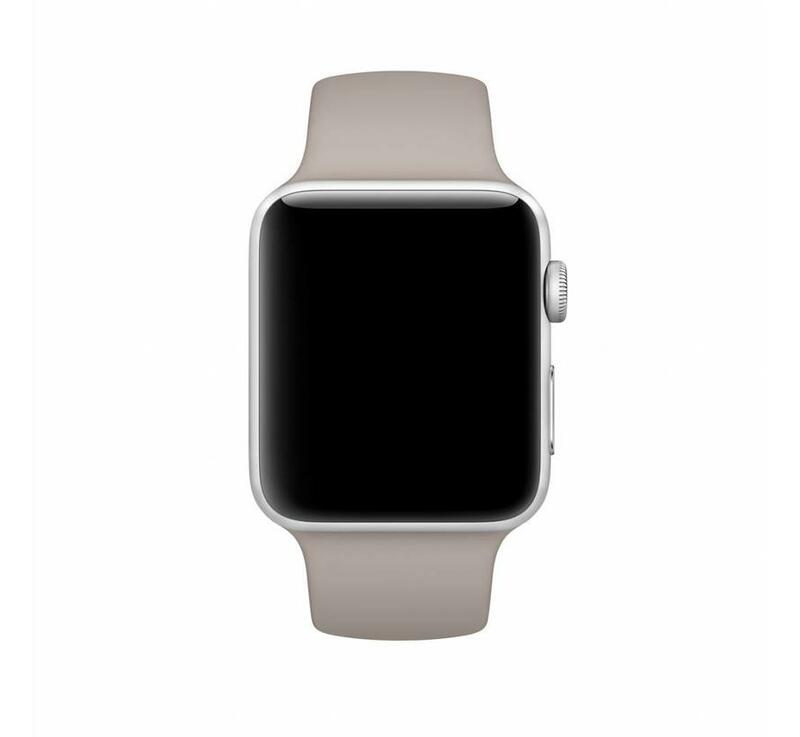 Stylish and sporty: that is the Apple watch sport band - pebble. 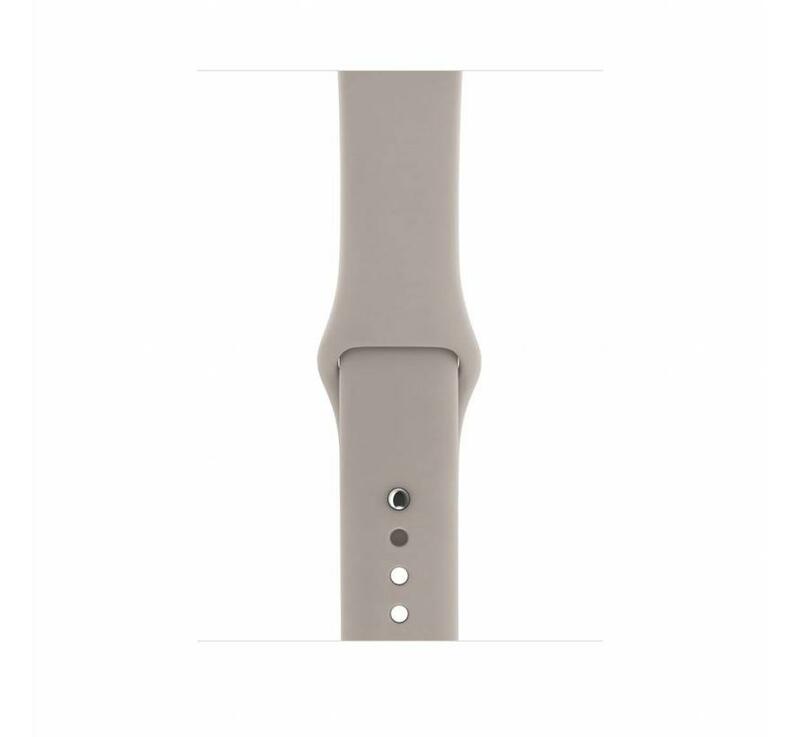 This sporty Apple watch strap has a simple closure that is attached to the wrist with one push. 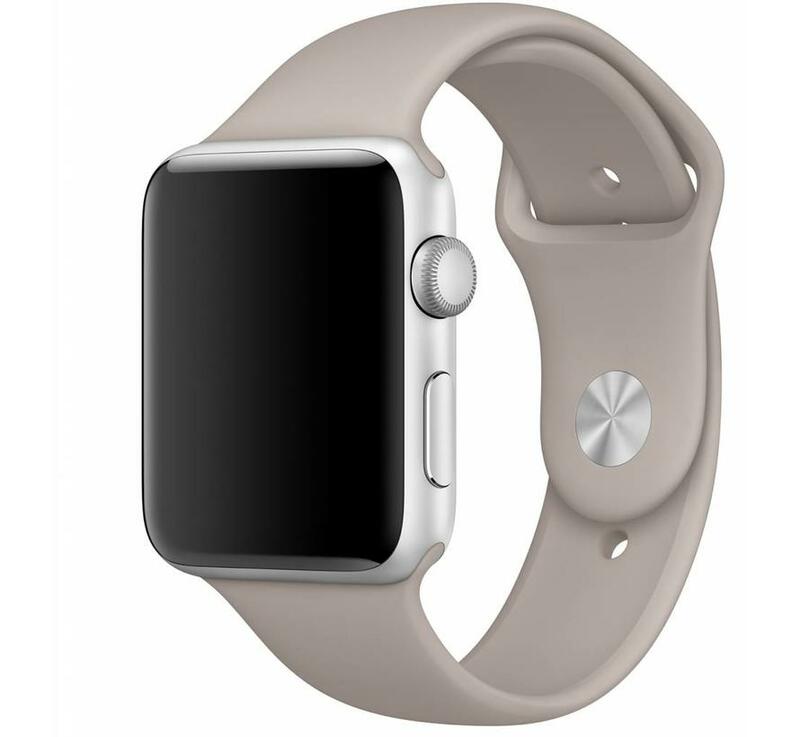 The material is made of rubber which has the advantage that the Apple watch strap is very flexible and ideal for the sporty user of the Apple watch. The stylish finish allows the remaining part of the strap to be slid through the buckle to maintain a tight strap. Not completely a fan of this color? 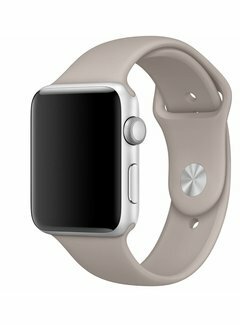 Then take a look at our other Apple watch sports bands. 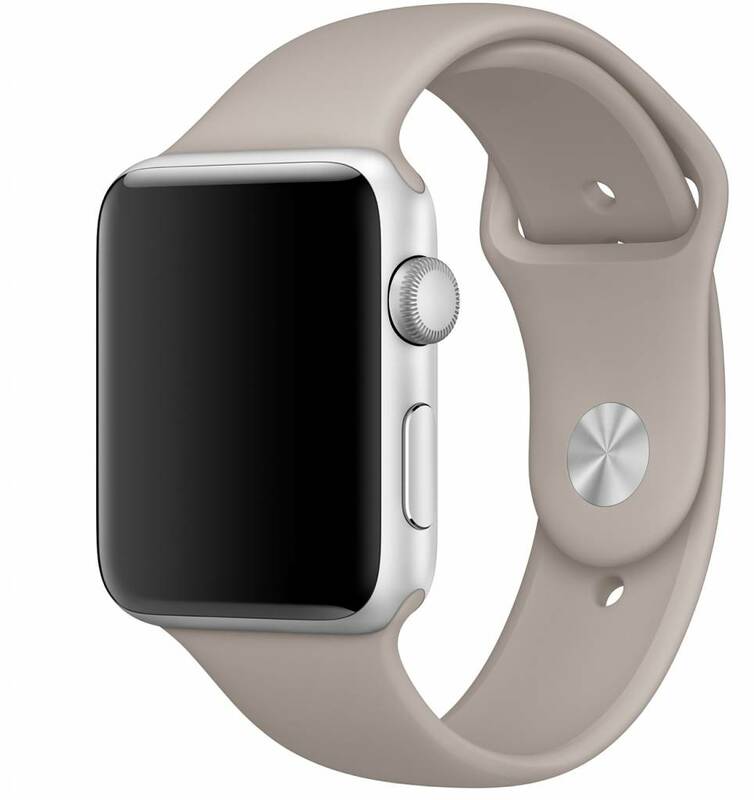 Is this apple watch sport band going to be him? Make sure you order the right size! Goede kwaliteit. 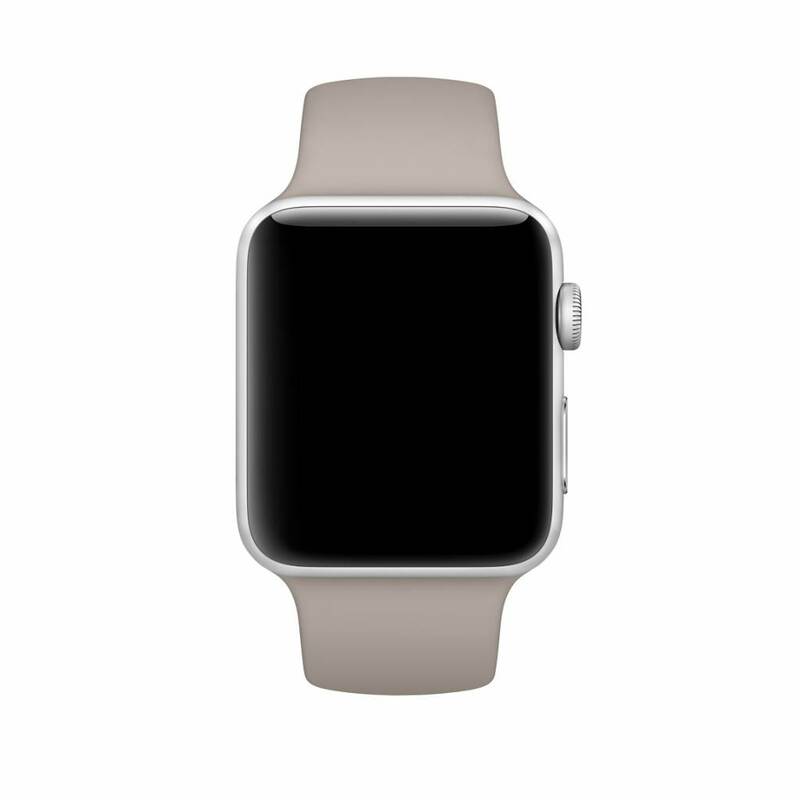 Zie en voel geen verschil met de originele Apple bandjes. Kleur komt overeen met afbeelding, prima! Snel ontvangst en kleur komt overeen, past prima! mooie neutrale kleur, een goede kwaliteit bandje.